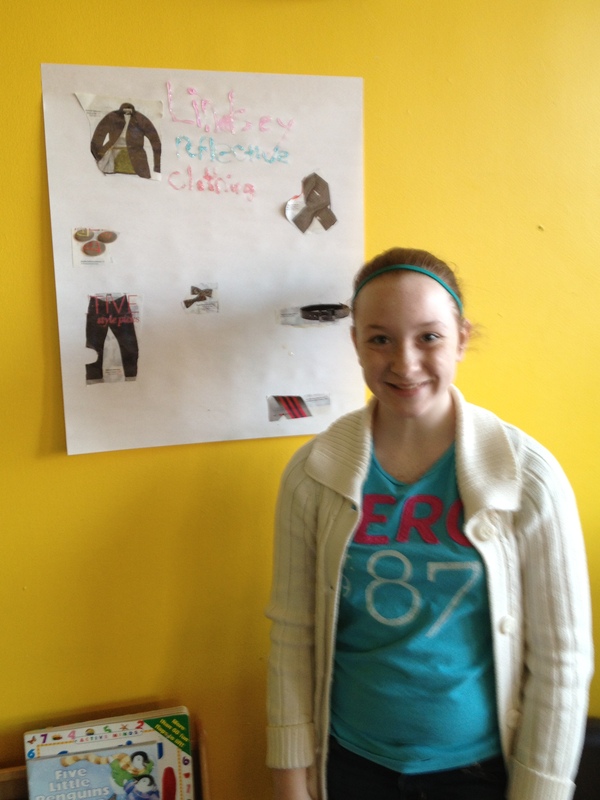 This past Wednesday, ten more girls graduated from my ‘Girls in Gear’ program. 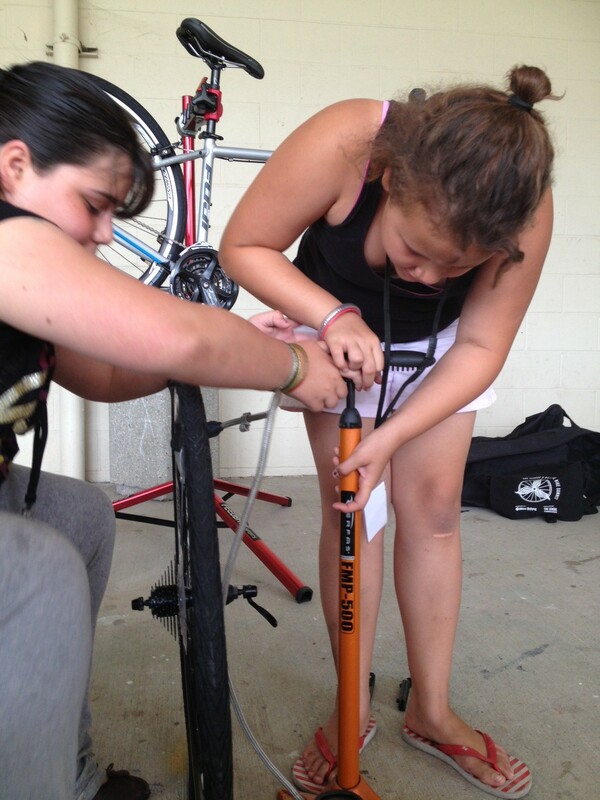 To date, three ‘Girls in Gear’ program cycles have taken place and 20 girls have gone through the program. 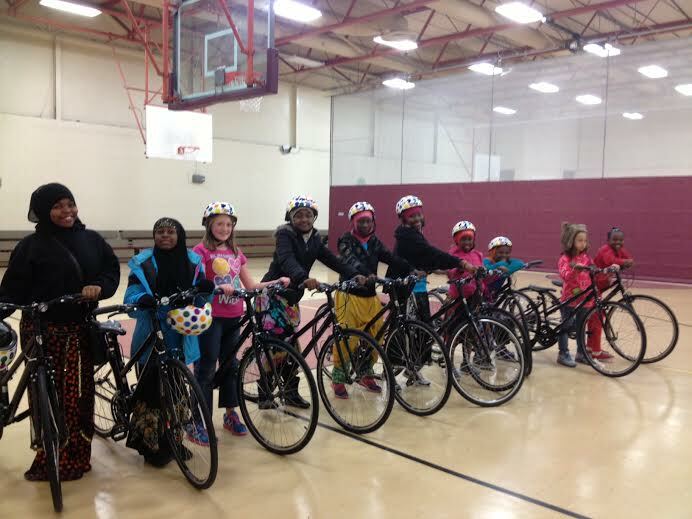 The latest program was held at the Vaughn-Hairston YMCA in the village of Urbancrest outside of Grove City. James Lewis and Becky Brown were such incredible hosts that I couldn’t have asked for a better facility. 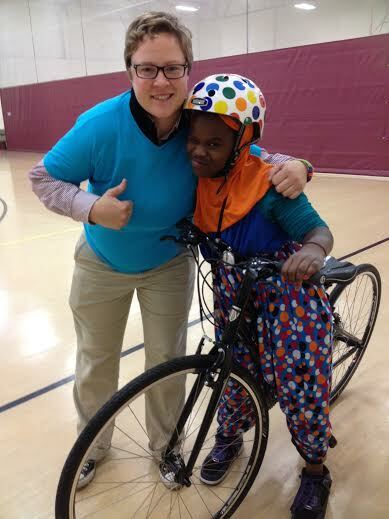 I absolutely love being hosted by the YMCA. 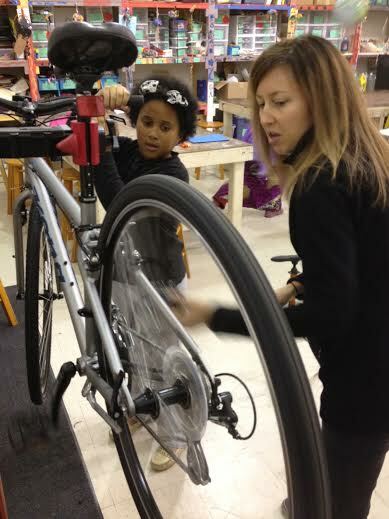 The staff always treat me graciously and they have some of the best volunteers! THANK YOU! 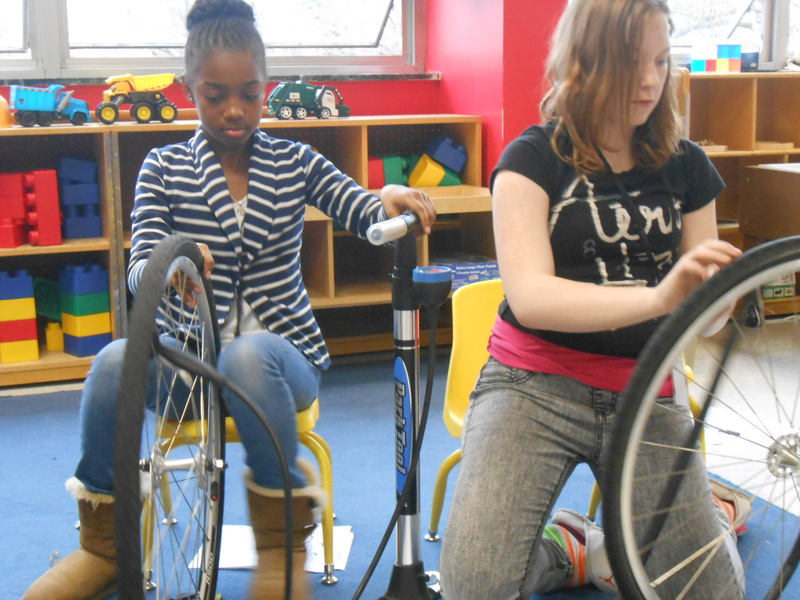 This cycle was the biggest group I’ve had which was a great learning lesson. 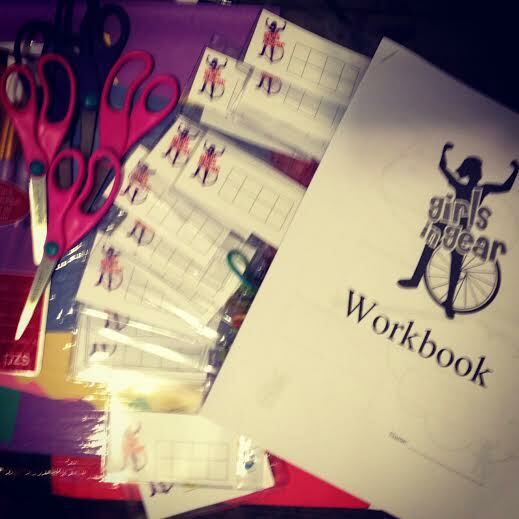 This cycle, the girls also worked in ‘Girls in Gear’ Workbooks I created. 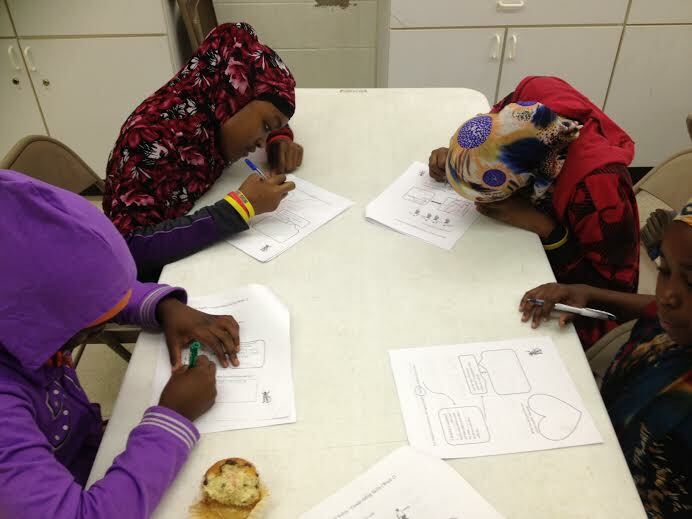 After each session, not only do the girls fill out what they learned in their workbooks, I also ask them questions that get them to think about themselves in a positive manner as well each other. ‘Girls in Gear’ has changed my life. I love seeing these girls on a weekly basis and them running up to me to give me a hug. They have such simple needs that I feel so overly happy that I’m able to fullfill – at least for a small chunk of time. 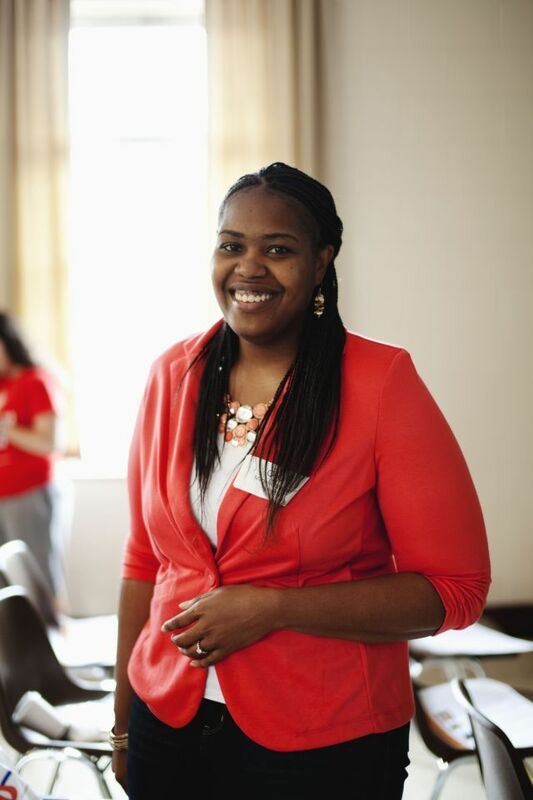 No matter what socio-economic background you’re from, all young girls need to be empowered. 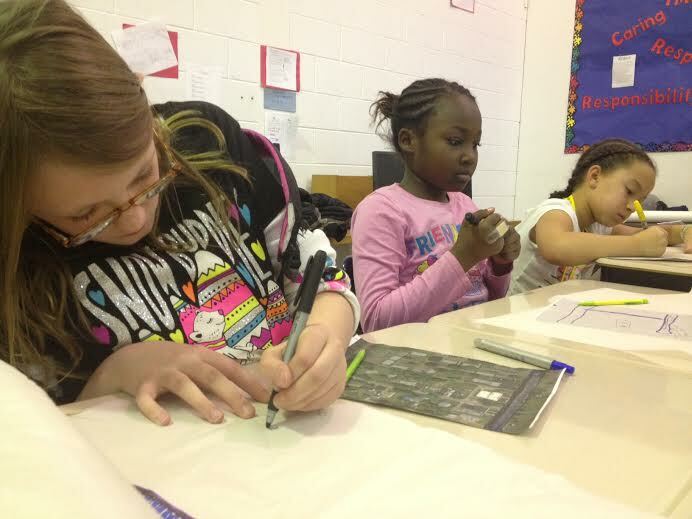 All young girls need to feel confident in themselves and have that sense of self-reliance. Resources are limited in under-served neighborhoods. And, it’s usually the under-served neighborhoods that have the wide, fast streets – disconnecting neighbors from one another and the pleasntry of enjoying one’s neighborhood. In these neighborhoods, kids at the age of nine think it’s ‘normal’ to walk in litter-filled streets, see prostitutes on the corners, and gun casings on the ground. It’s ‘normal’ for a school’s playground to close down because comdoms and used syringes were found. It’s ‘NORMAL!’ Would this be ‘normal’ in Bexley? A lot of these girls have gone through more than what a lot of adults have gone through. They are resiliant. They may be rough around the edges but once you’ve chipped away, they are smooshy and gracious and humble. 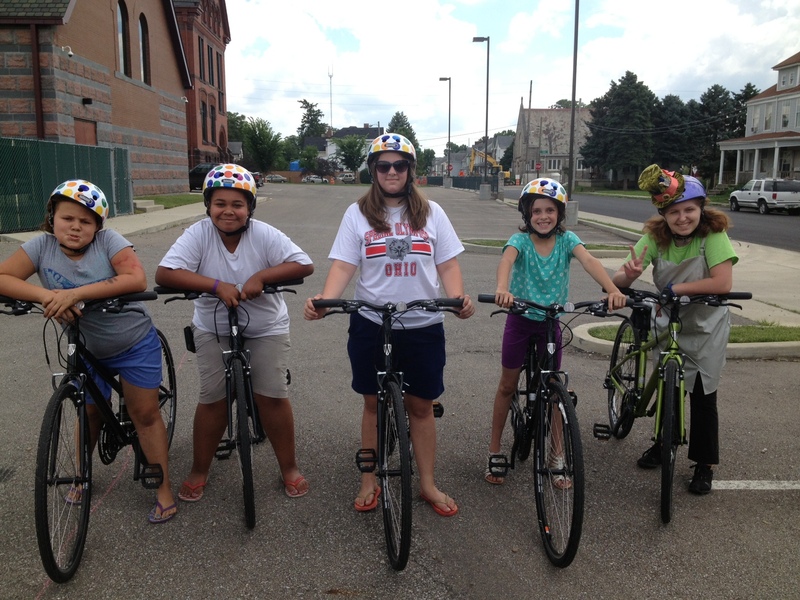 I remember over the summer when ‘Girls in Gear’ was held at the Gladden Community House, I brought in helmets for the girls for our road riding sessions. 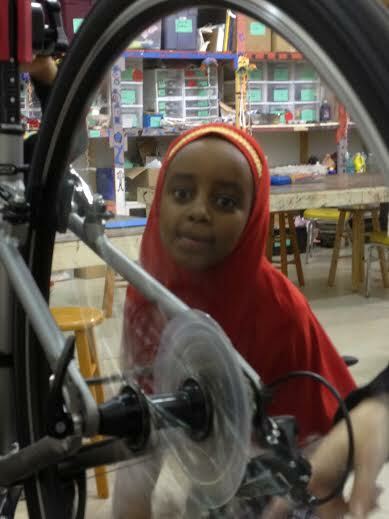 Once our sessions were finished, I said, ‘keep them.’ I remember one girl saying, ‘really we can keep these?’ They were thrilled at having these fun (and chic) helmets that during the other ‘skill-building’ sessions of the program, the girls would wear their helmets. Simple pleasures. I keep in touch with a handful of the girls through the ‘Girls in Gear’ facebook page. I always want to know what they’re doing and how they’re doing. 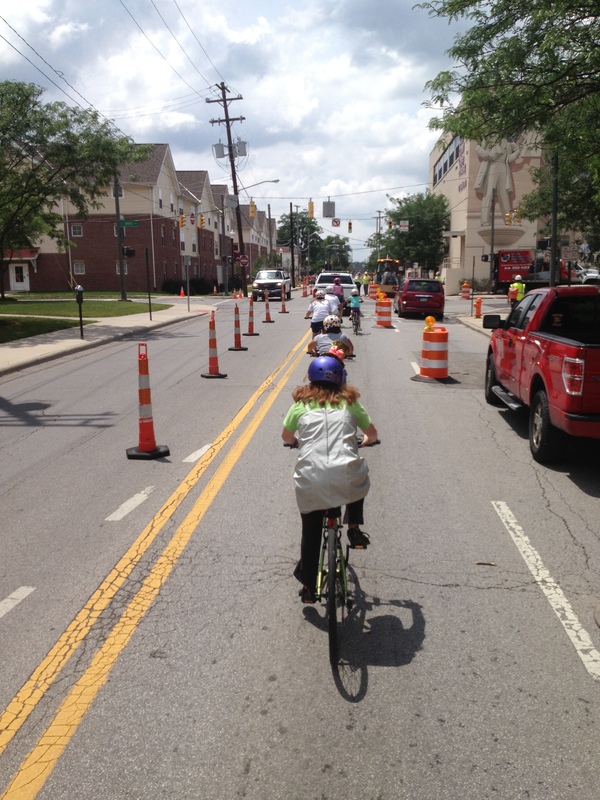 I’m also working towards getting a handful of them to ride in 2014 Mayor’s Twilight Ride. I think they would absolutely love it. I want them to know that I have invested in them. ‘Girls in Gear’ Cycle 3 (c3) had a great addition. Mike Foley of WCBE, Columbus’ local NPR Station heard me present at Pecha Kucha Columbus about ‘Girls in Gear.’ He reached out to do a story on the program. This past Wednesday, it was aired on ‘Morning Edition.’ It was so incredible to hear how elegant and bright these young girls were, speaking to Mike. I really look forward to watching ‘Girls in Gear’ blossom into a program that can take place anywhere. 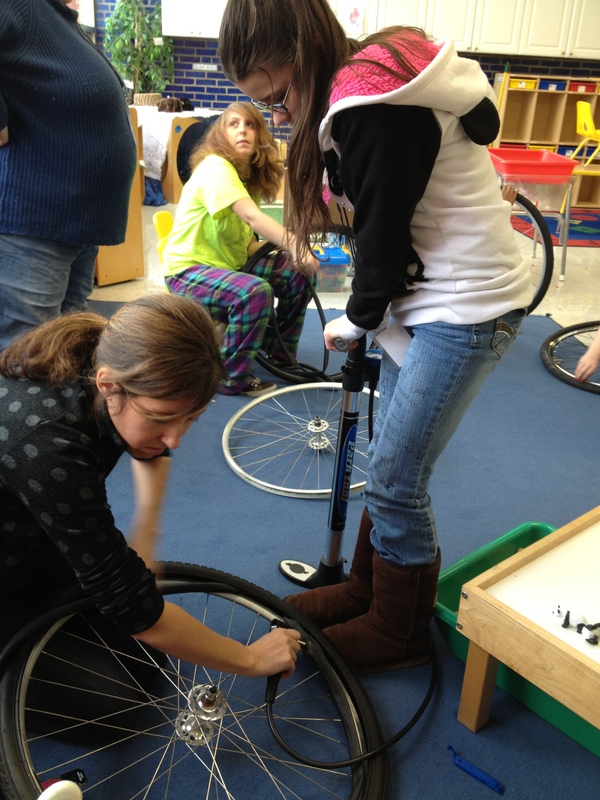 Girls need to feel good about getting their hands dirty. 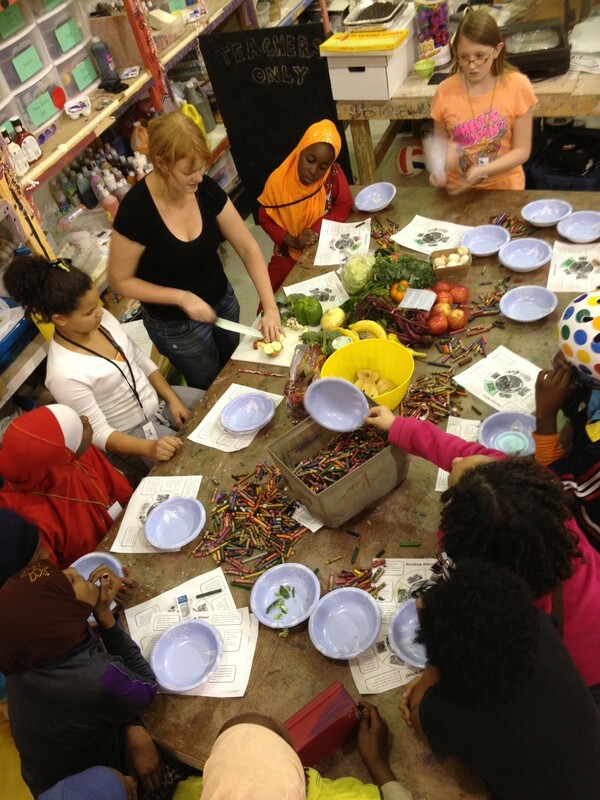 They need to feel good about their bodies and understand healthy decision-making through nutrtion. 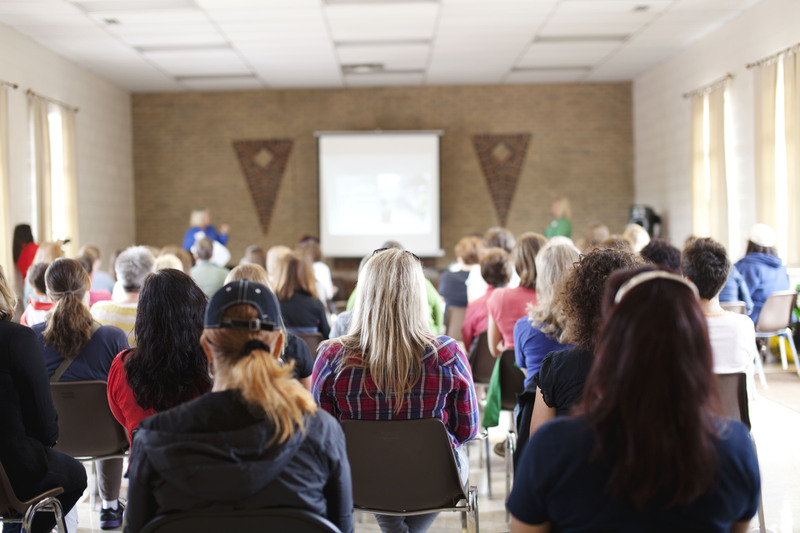 Girls need to feel confident in hearing their voices and hearing their thoughts out loud. Girls need to feel self-reliant when navigating their neighborhoods and streets and not feel the need to rely on anyone else. I want to thank: Mimi Webb (Trek Bicycle), Kelly Martyn (formerly of Green Bean Delivery), Anna Hanley (Roll), Emily Burnett (Paradise Garage), Amanda Golden-Blevins (ACP Visioning + Planning), and Abby Kravitz (MKSK Design Firm). 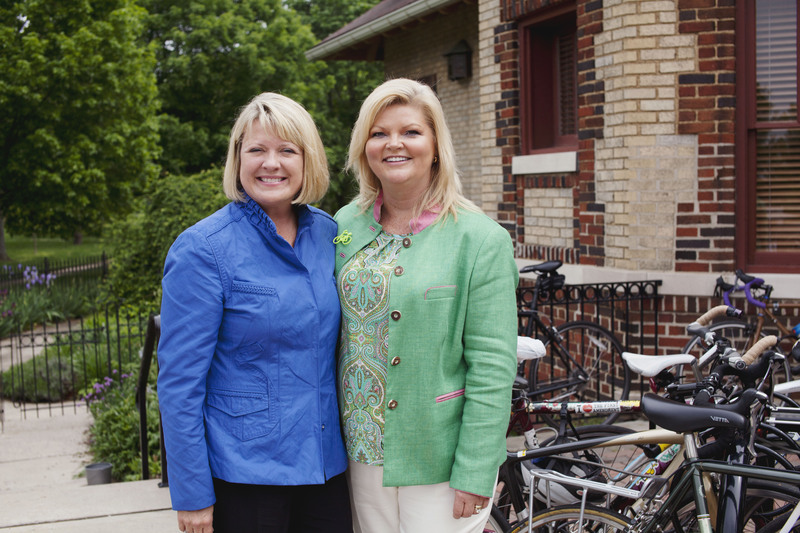 ‘Girls in Gear’ wouldn’t be what it is without the trust of these professional women. Thank you. They LOVED their Road Riding Sessions! 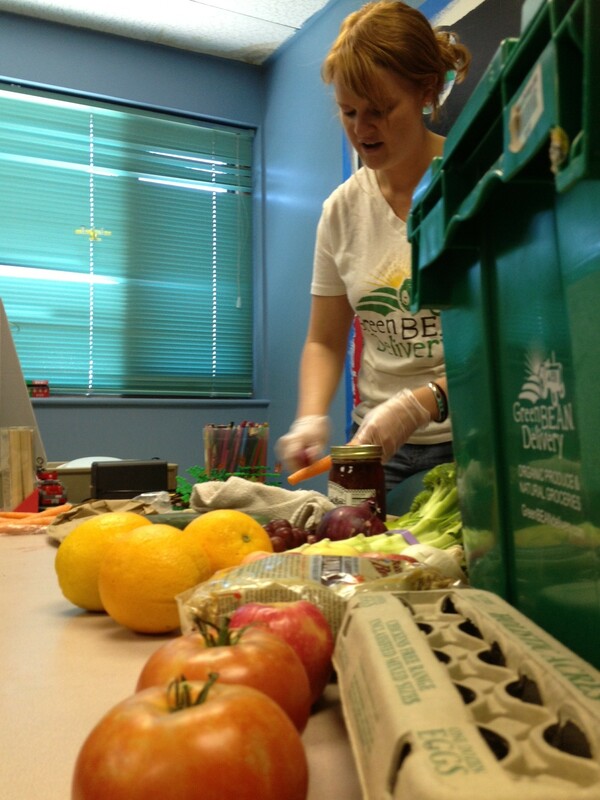 Kelly is teaching the girls basic Nutrition Education. 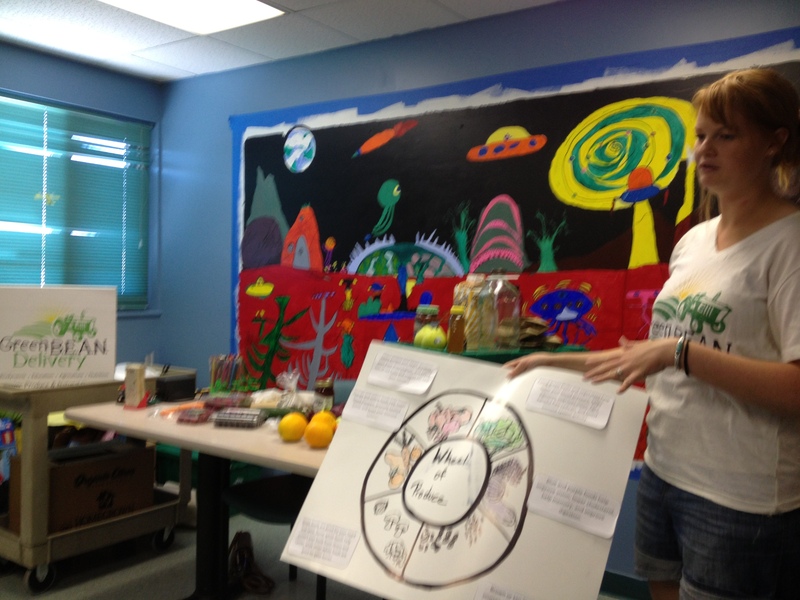 The girls got to sample all types of fruits and vegetables and if you can see the papers on the table, Kelly made vegetable-colored diagrams which explain the benefits of colors for fruits and vegetables! 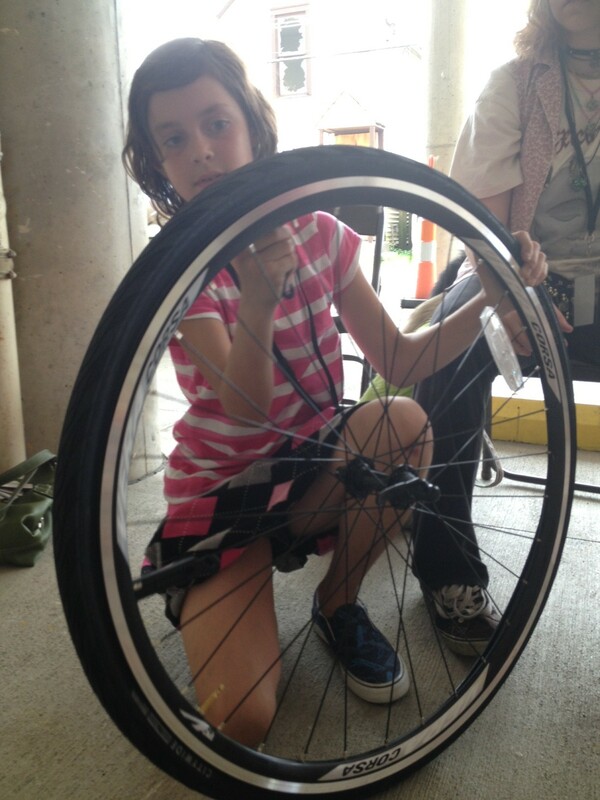 Anna is assisting the girls as they change flat tires and learn how to properly inflate tires. Constant smiles with teaching this rambunctious crew. 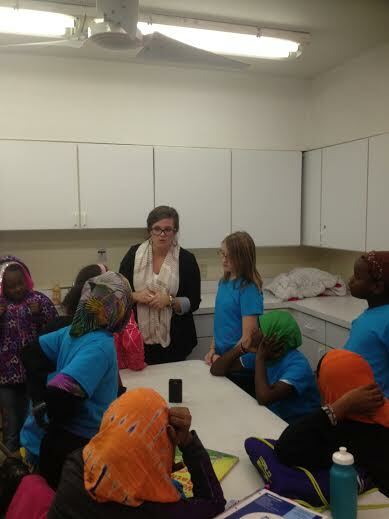 Amanda is prepping the girls prior to the neighborhood walk-audit. 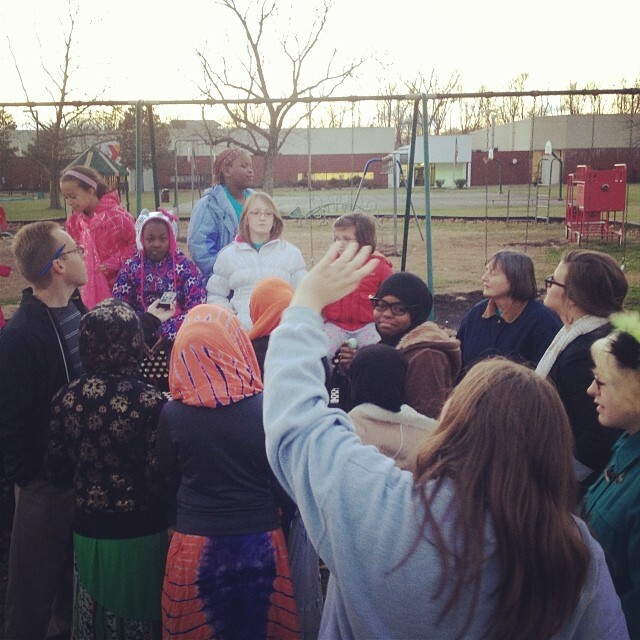 Taking our neighborhood walk-audit. The village of Urbancrest has no sidewalks. Mike Foley of Columbus’ NPR joined and recorded this session. Everyone discussing what they observed during the walk-audit. Elements that were positive, negative; what’s need improved, etc. A brand new neighborhood! 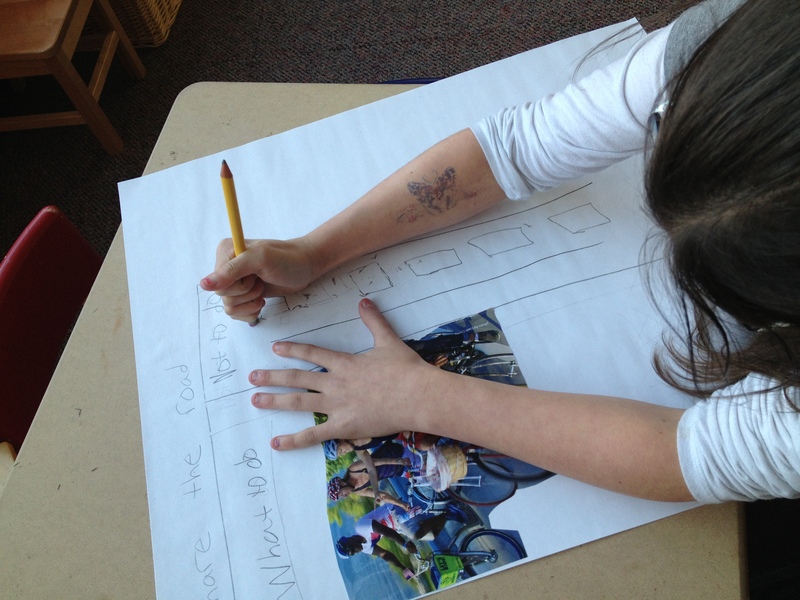 Schools, sidewalks, markets. I’d live there! 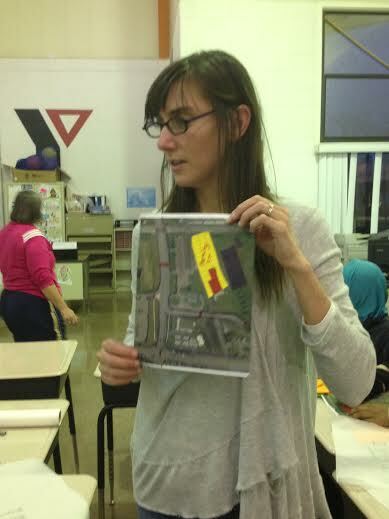 Abby is holding up one of the great examples from the ‘urban design’ neighborhood re-design. The girls LOVED Mimi. Who doesn’t. Ten more young leaders! Hundreds more go! Yes, I know I’m overdue for a post. Here it is: ‘Girls in Gear’ round 2. 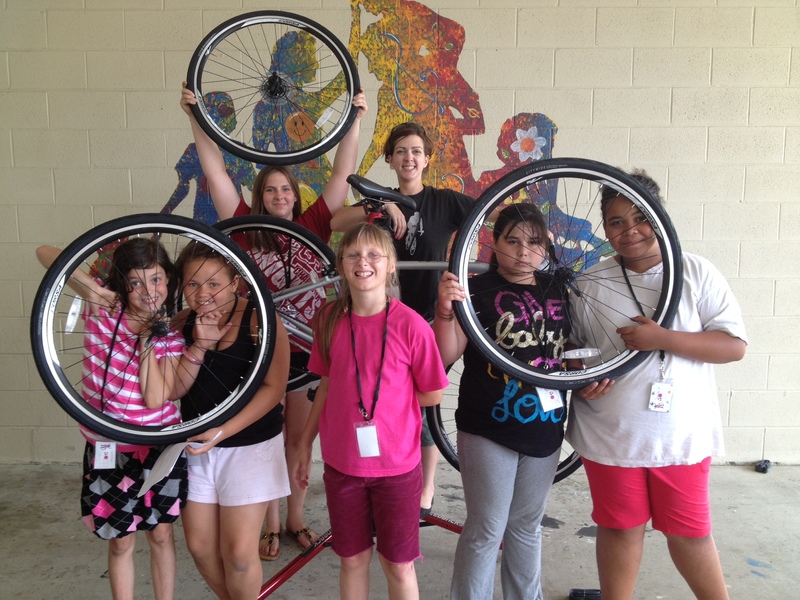 One of the summer program locations for the awesome ‘Girls in Gear’ is Gladden Community House. I fell in love with this place a couple of years ago. The kids that spend time here are full of love and big, huge smiles (most of them :)). When I presented my program over there, they jumped at it and LOVED the idea. So, since June 10th, I’ve been over there empowering five young girls and let me tell you, it’s been incredible. 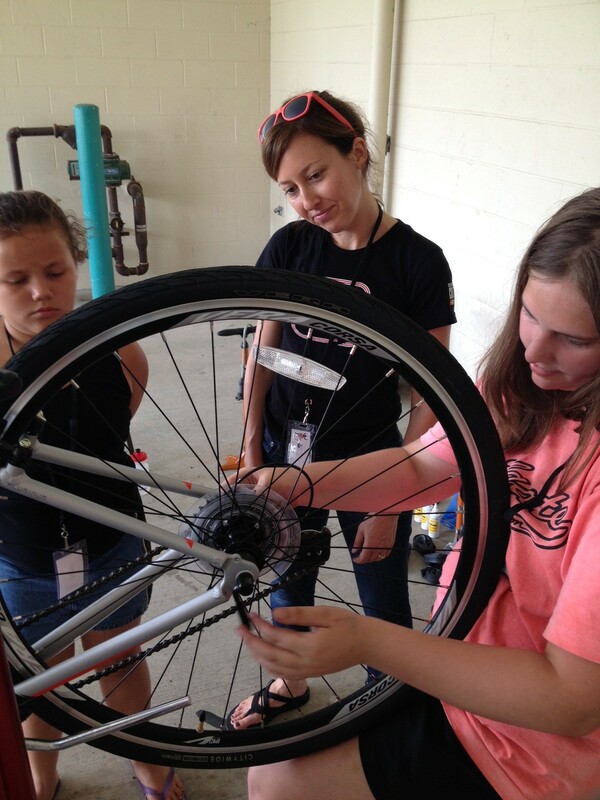 These girls absolutely have fallen in love with ‘Girls in Gear.’ Thus far, we have taught the girls: bicycle safety, basic bicycle mechanics, nutrition education, and they are currently working on the ‘community urband design’ portion of the program. 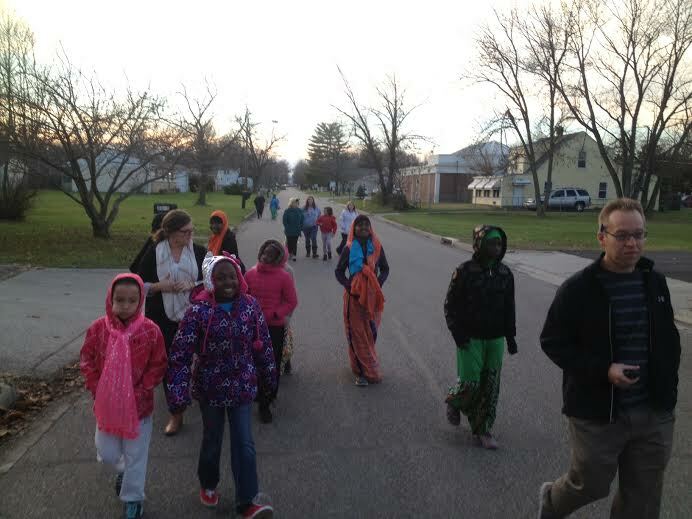 Monday, we performed a walk-audit of the neighborhood and they were extremely engaged. I feel truly humbled to have created this program. Not only is this a one of a kind program, I think what contributes to making ‘Girls in Gear’ so incredible are all of the female professionals helping me make it awesome. They understand and believe that more young girls need the confidence and need to feel that they can pursue any career that they want. 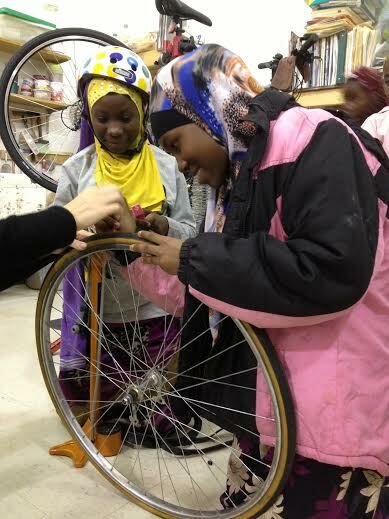 These young girls need the motivation and positive reinforcement by adults that they can have engineer careers, that they can use their bikes as main modes of transportation, and that should something break on their bikes – they have full ability to fix it themselves. 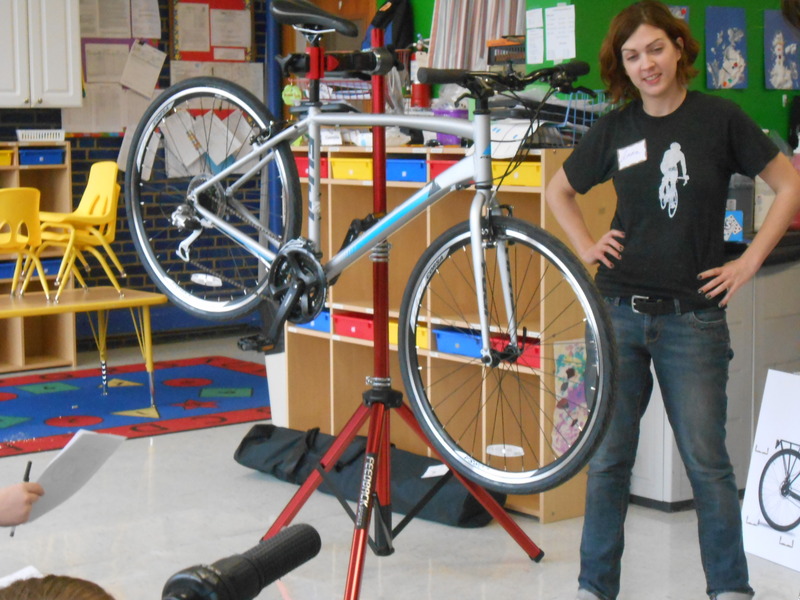 “Girls in Gear’ is so much more than just a ‘bicycling program.’ It’s motivation. It’s self-reliance building. It’s self-esteem building. It’s teaching them technical skills and healthy decision making at an early and cruical age where they can begin a pattern of lifelong decision making that’ll influence the rest of their lives. 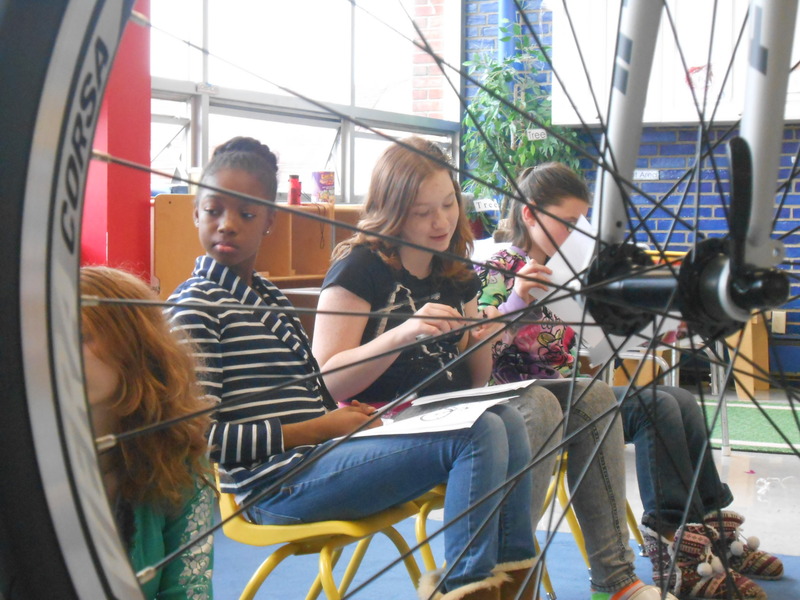 ‘Girls in Gear’ is about mentorship and investment in these young leaders. 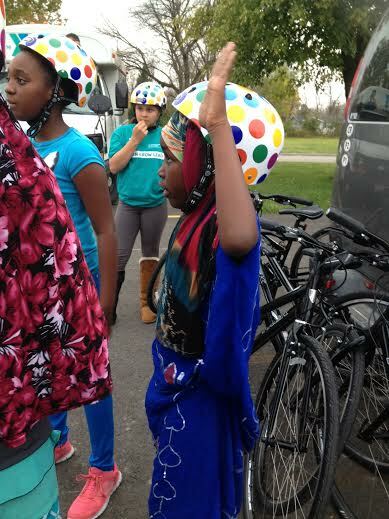 Here are a few photos of the current ‘Girls in Gear’ at Gladden Community House in the Franklinton neighborhood. 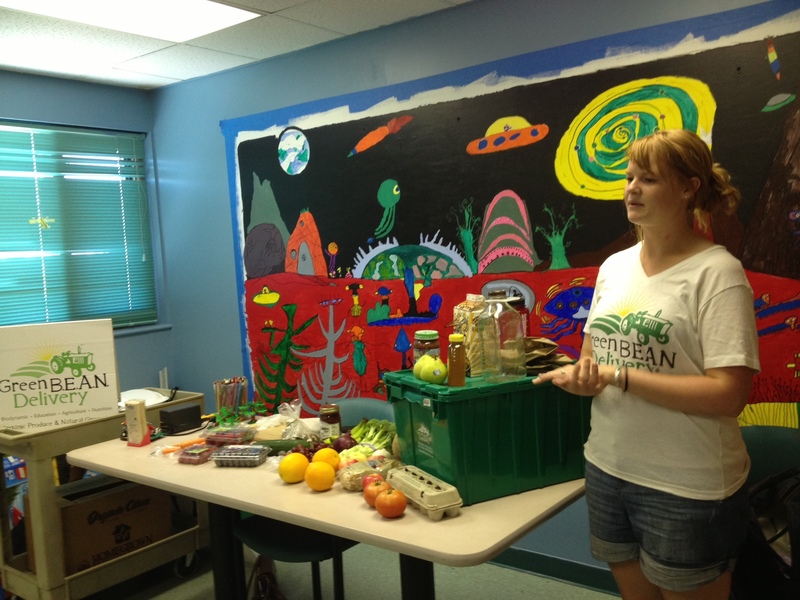 Kelly of ‘Green Bean Delivery’ taught two ‘Nutrition Education’ sessions to the girls. Lots of yummy samples came along with learning! 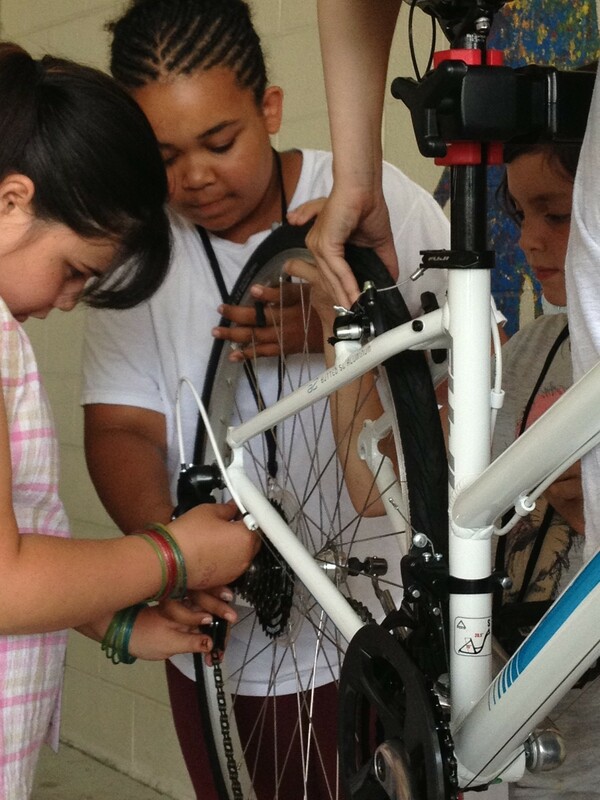 Session 2 of bike mechanics. 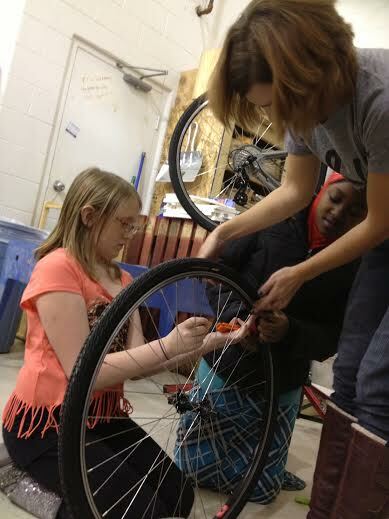 The girls practicing release brakes and tires; both front and rear. 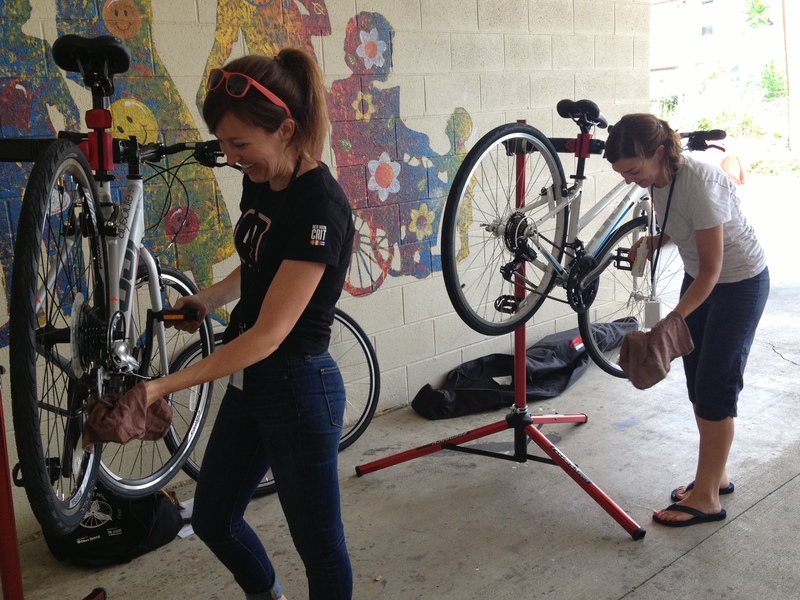 Emily and Anna both showing the girls how to maintain and clean your bikes. 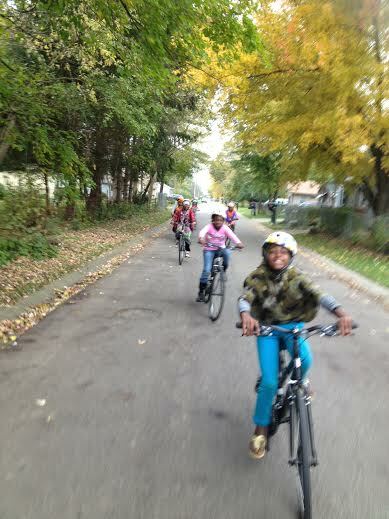 Bicycle Safety / Group riding day! Seriously, how beautiful is this image!!! 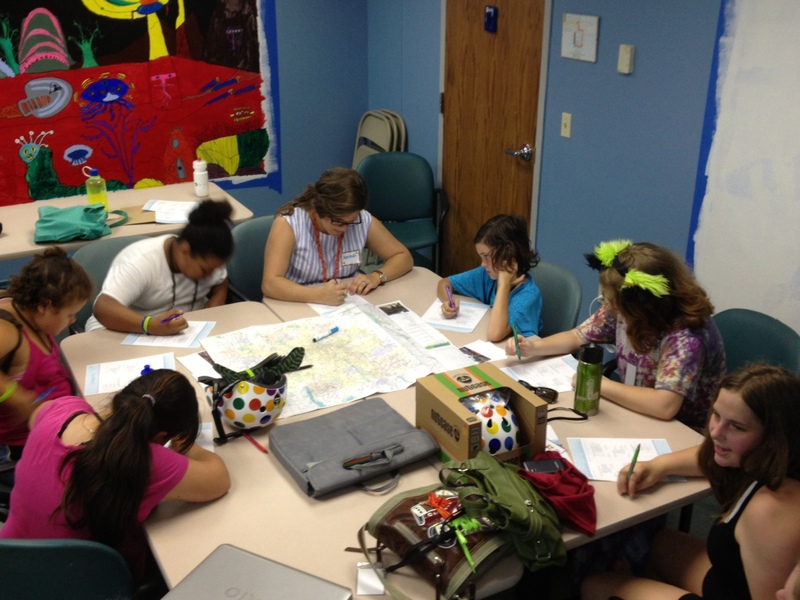 The girls looking and planning out our ‘walkability’ study around the neighorhood. 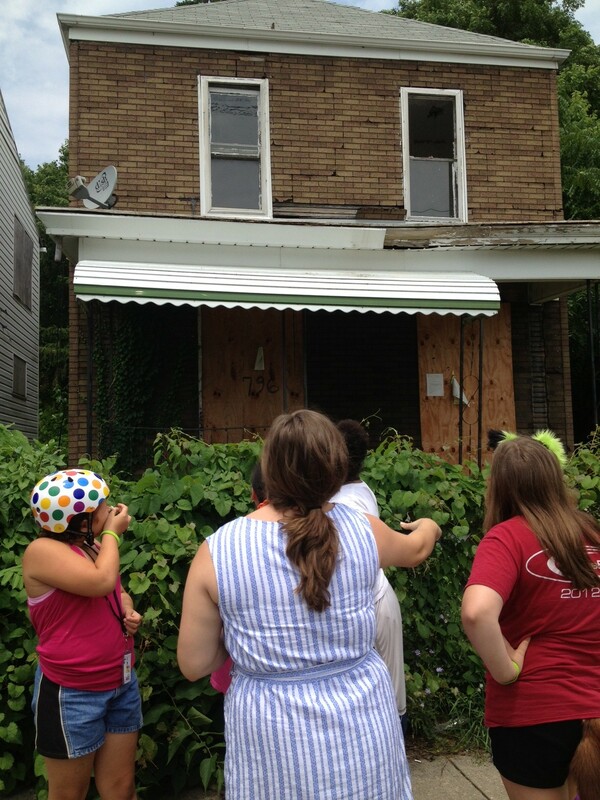 Standing and discussing the eye-sore and ‘uncomfortable’ feeling when passing in front of vacant homes. Unfortunately, this is a common visual in the Franklinton neighborhood. 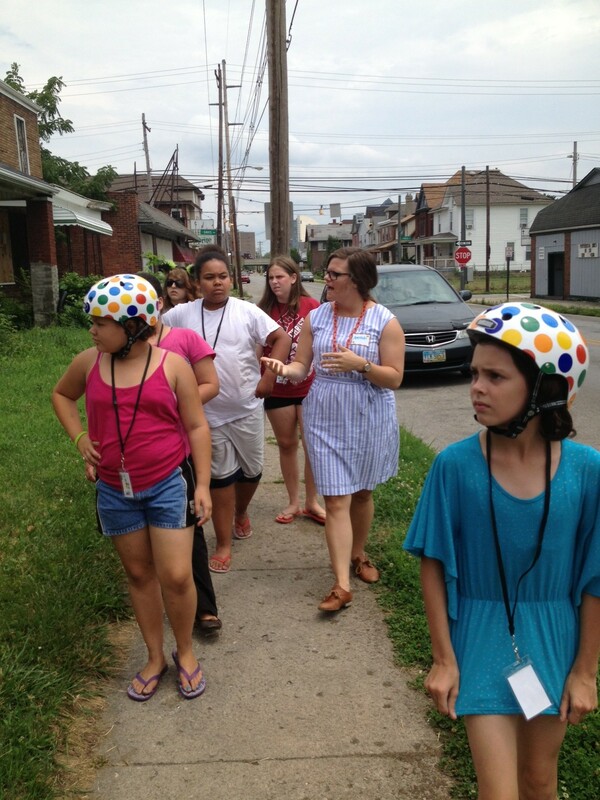 Amanda and the girls rating their walk/neighborhood with a ‘walk audit’. 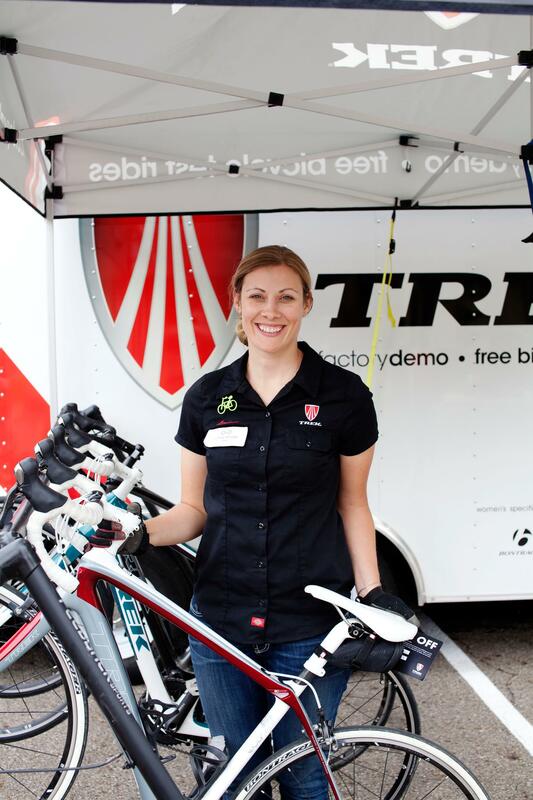 If you follow my blog or just have seen some of my recent blog posts, you can gauge that I’m passionate about empowering women and providing them with the tools to feel confident to ride their bikes more. I’ve began this great monthly ladies ride ‘2 Wheels & Heels’ which spun from the original up in Cleveland via Lindsey Bower. 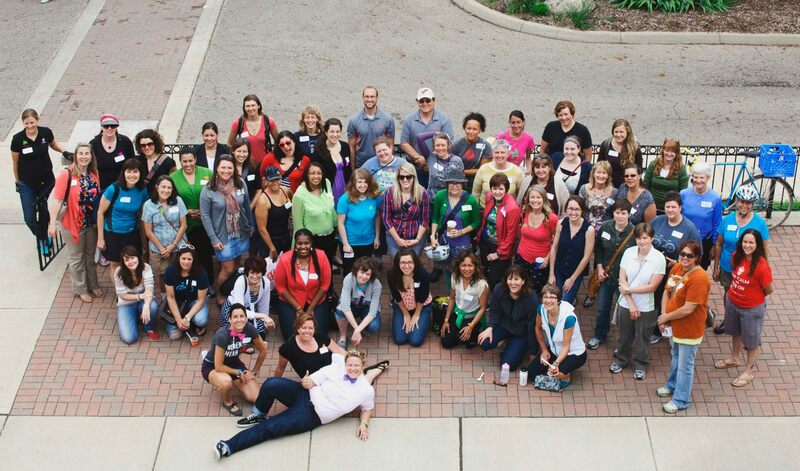 There is a niche that’s been missing here in Columbus, Ohio and it’s this inclusive group that I’ve initiated and just with word of mouth and social media, seems to grow like wildfire. 1. 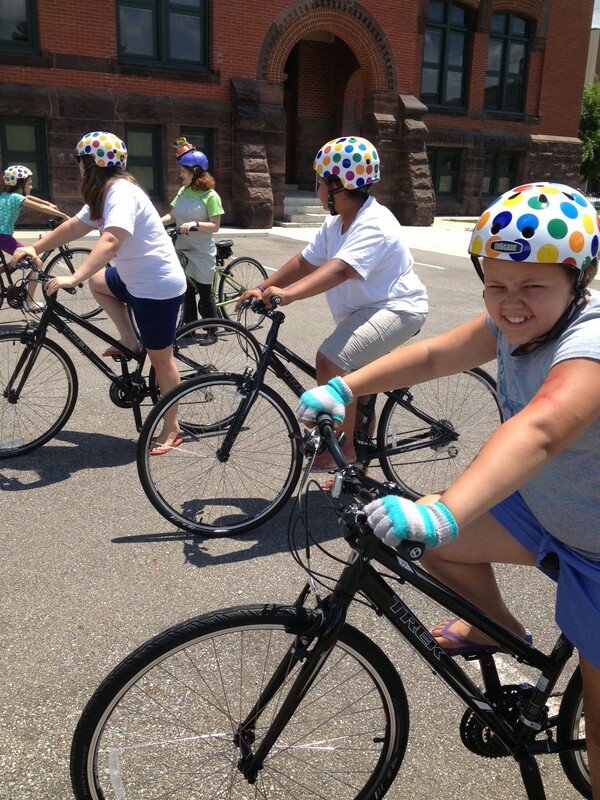 Bicycle Safety. 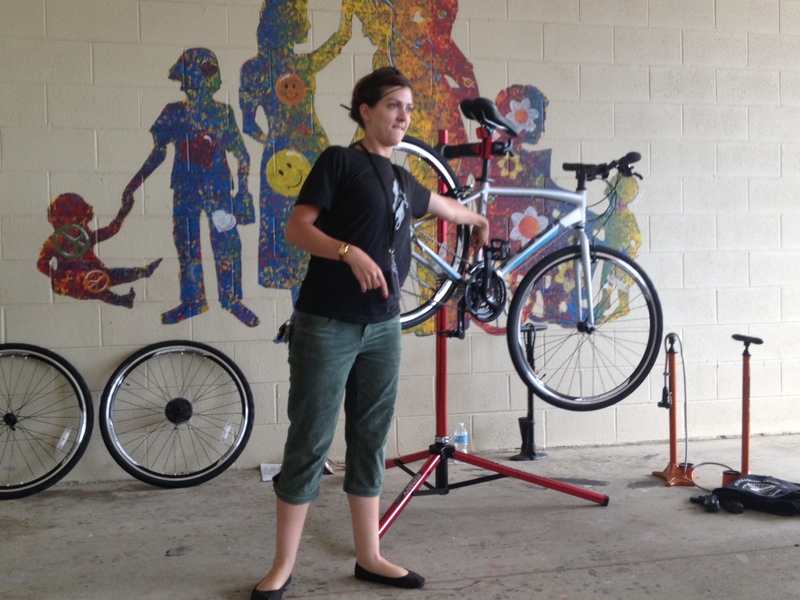 Learning the basics of bicycle safety over a two week period (lighting at night, hand signals, proper helmet fitting, ABC quick check of bike, door zone, etc. 2. 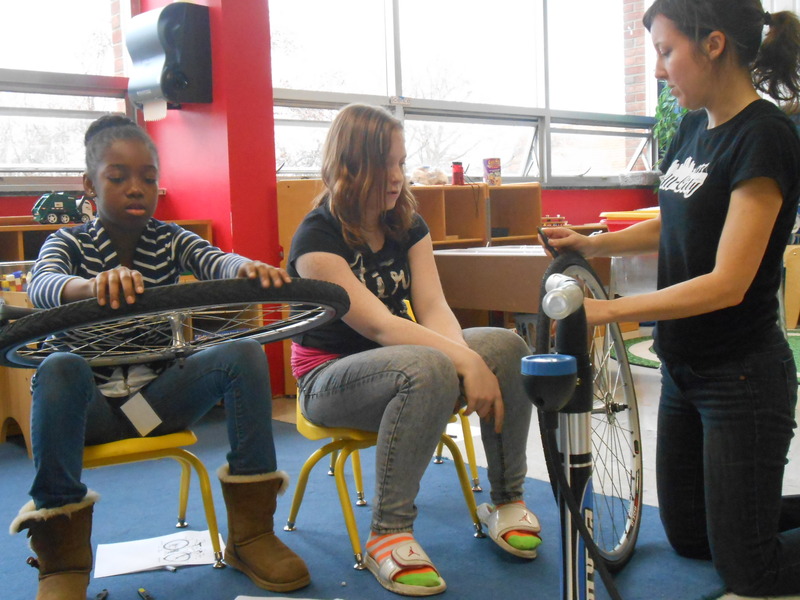 Bicycle Mechanics. 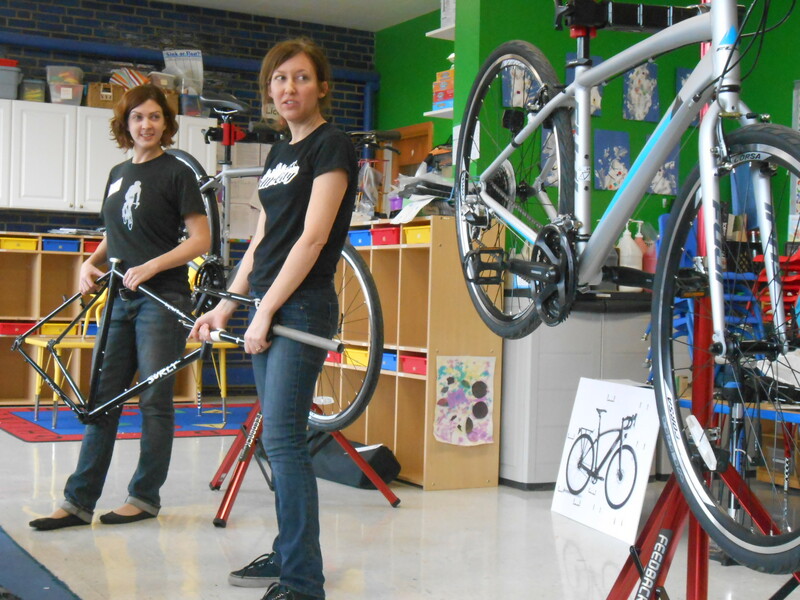 Two women professionals will come in over a two week period and go over the anatomy of the bicycle, fixing a flat exercises, gear shifting, bike cleaning and maintenance, and brakes. 3. Urban Design. 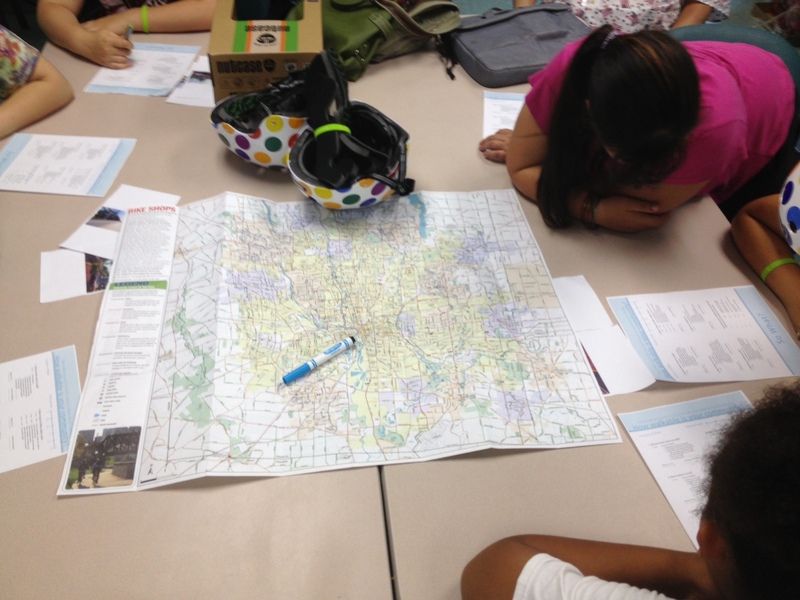 Two women professional will come in over a two week period and discuss the basics of urban design and planning. We’ll be conducting an audit of two streets in which the girls will then have the opportunity to re-create these two streets into their ideal, ‘safe’ street for all. 4. Public Speaking. 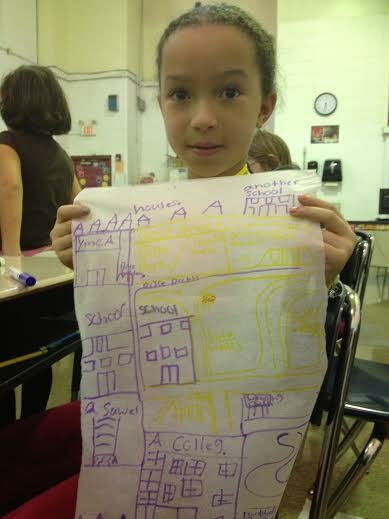 The girls will then discuss in the class how they came up with their street designs. 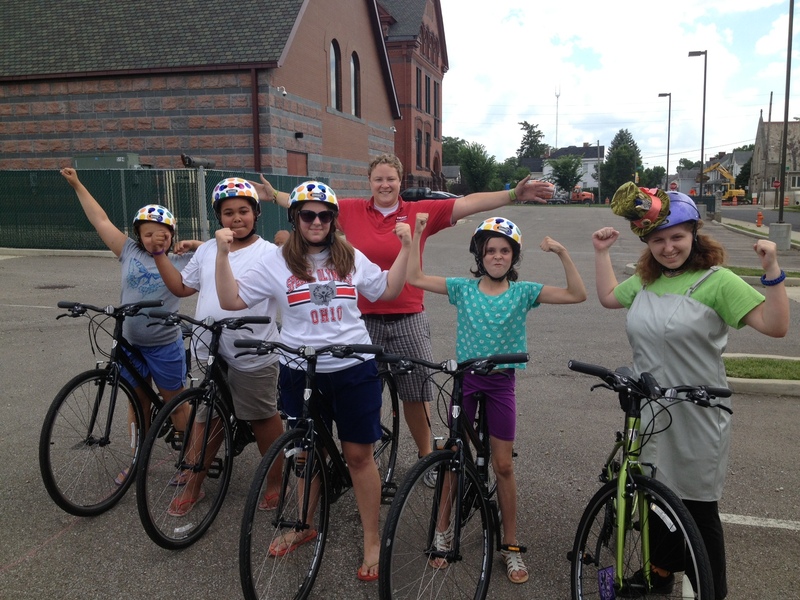 Upon full completion of their eight weeks, the girls will be awarded a bicycle along with the opportunity to meet Mayor Coleman. 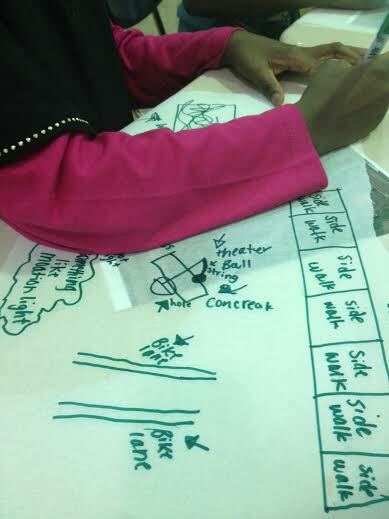 The idea is to not only discuss ‘Girls in Gear’ but to also present their newly designed streets to the Mayor and talk to him about their creations. I want this program to continue to flourish and expand as far as it can go. Middle school age is very tough age. 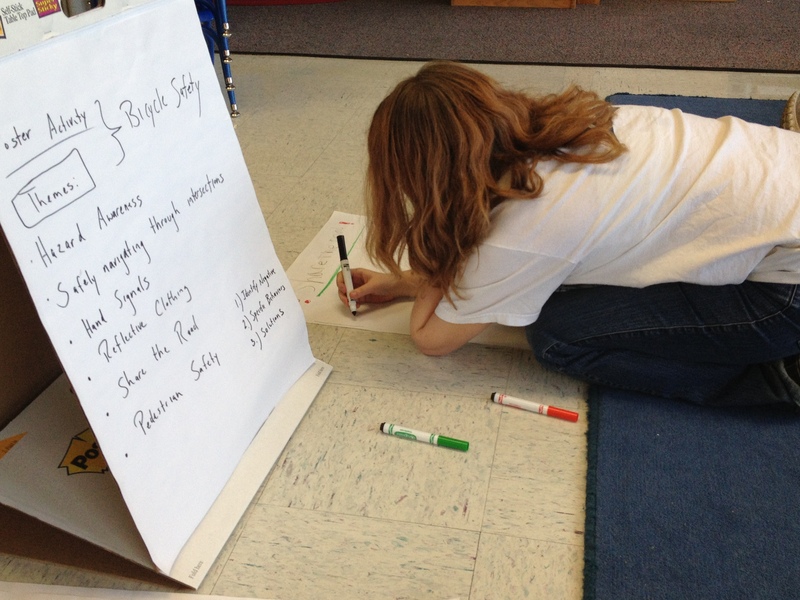 Developmental changes, physical changes, peer pressure – all these components that over consume a young girl. 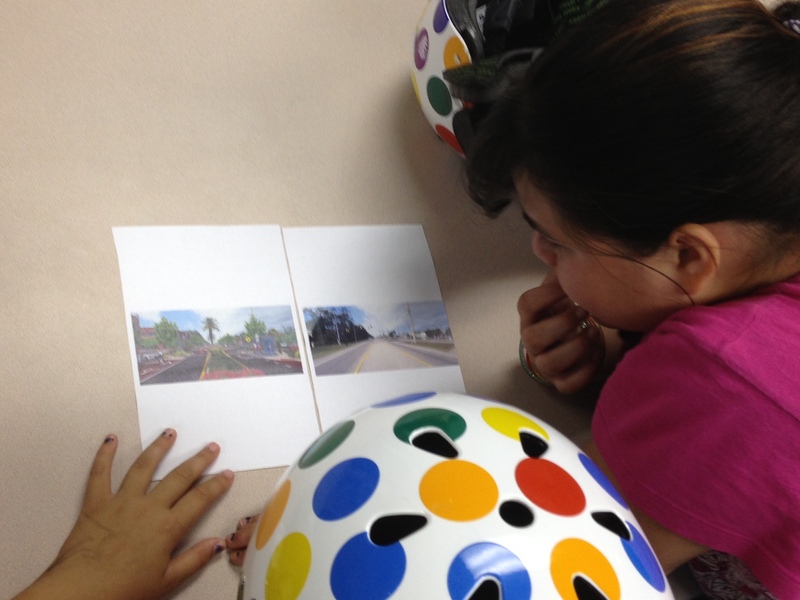 Girls in Gear empowers them to learn how to fix things, problem solve, communicate, design streets to which maybe one or two them will end up going to school for City Planning or Urban Landscape Architecture – all professions that are still heavily male dominated. 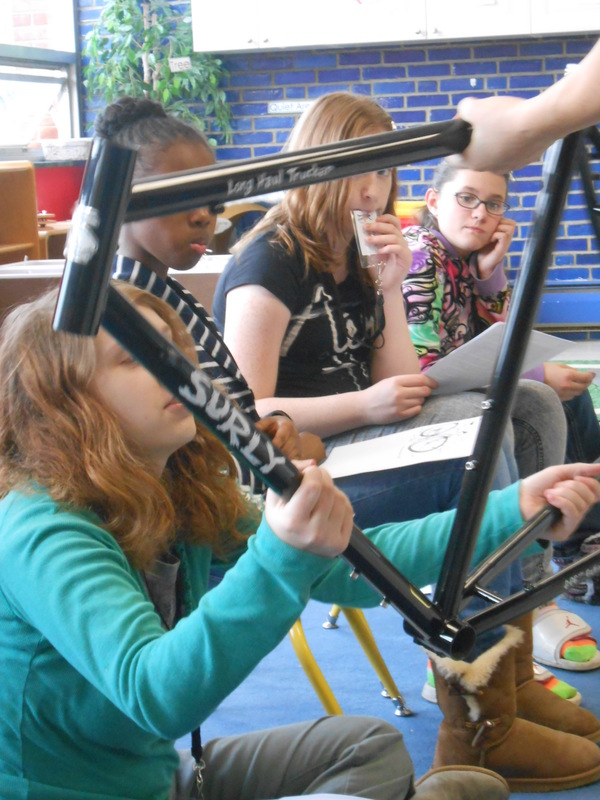 The four areas of focus in this program revolve around the bike however, these development tools can be manipulated to fit into any part of a young girls life and well into adulthood. 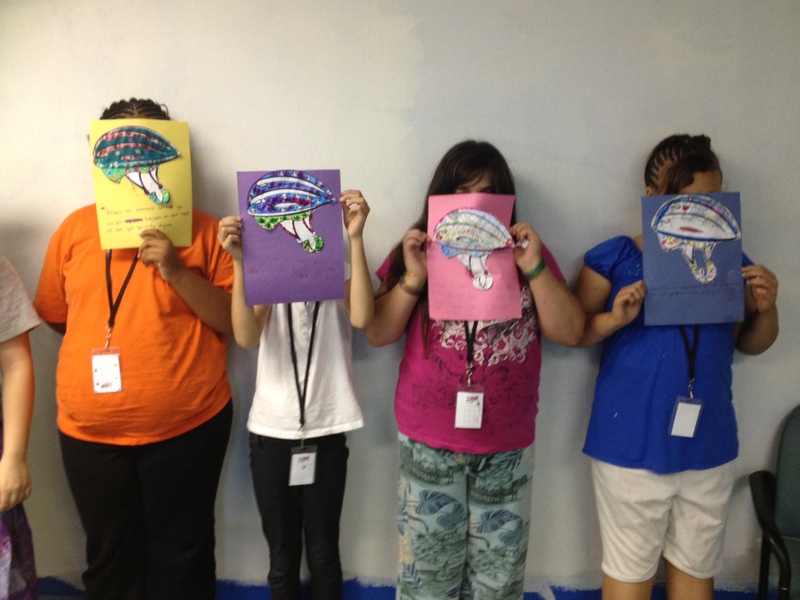 I’m just finished my fourth week yesterday and as each week progresses, the girls just impress me more and more. 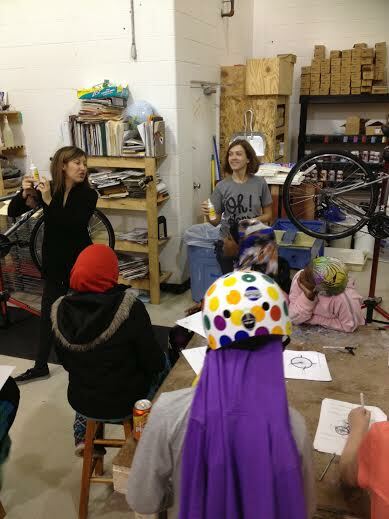 Anna from Roll and Emily from Paradise Garage were the two mechanics teaching the girls the basics. They did fabulous! 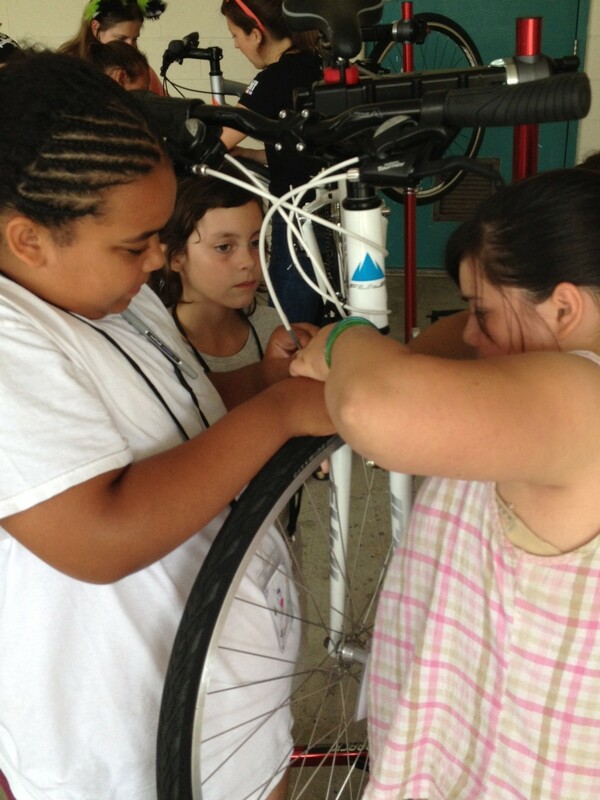 After Emily and Anna went through the steps of changing a flat, the four girls practice. 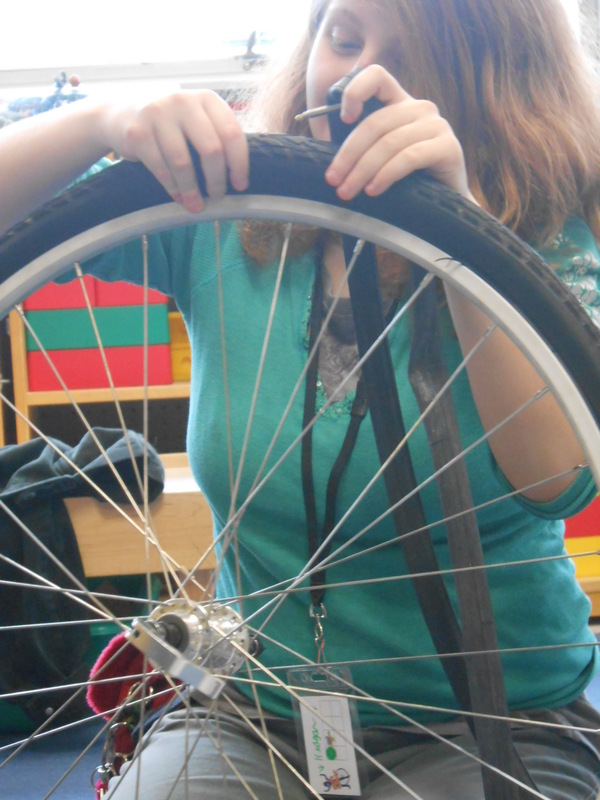 All four changed a flat by themselves. It was fantastic! 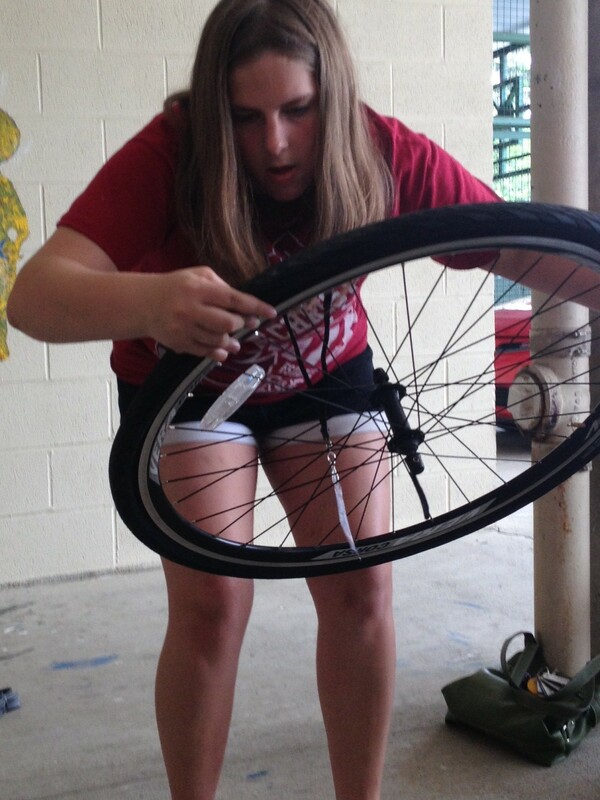 Abigail pumping up the tire she just changed. 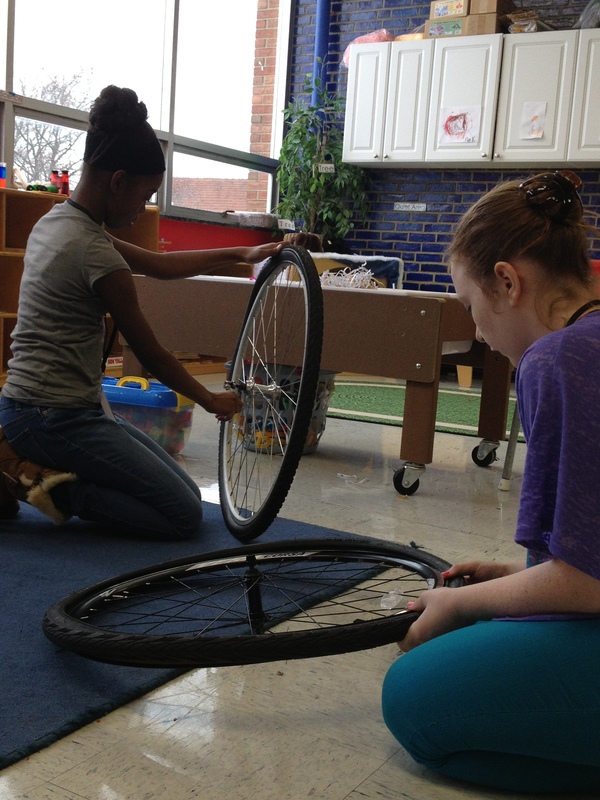 Alijah and Lindsey changing another flat. These girls ARE impressive! 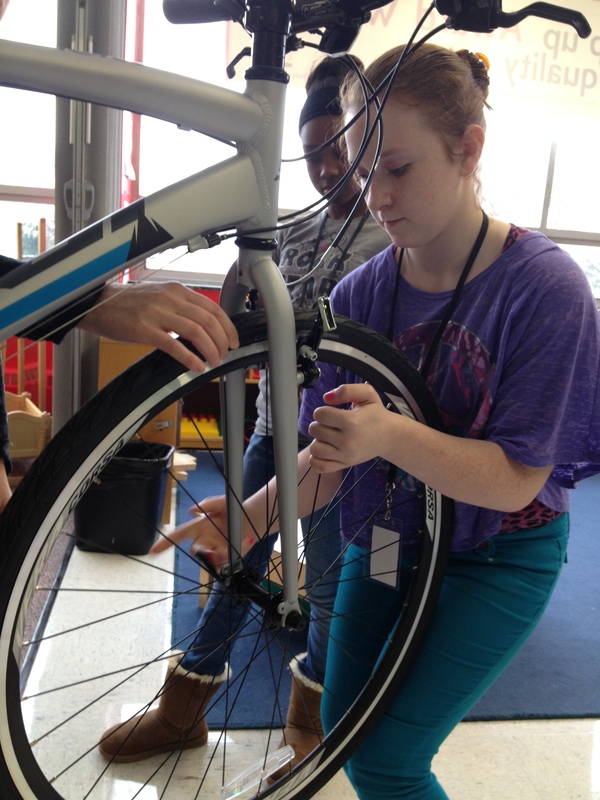 Alijah and Lindsey both practicing releasing the brake, using the quick release and removing both front and rear tires.